Former Sgt. Jess Cunningham told his Army lawyer about the murders. A CNN investigation reveals why the Army's rules for holding detainees may have led to the murders of four Iraqis by three decorated Army sergeants. Watch Saturday and Sunday at 8 and 11 p.m. ET on CNN. 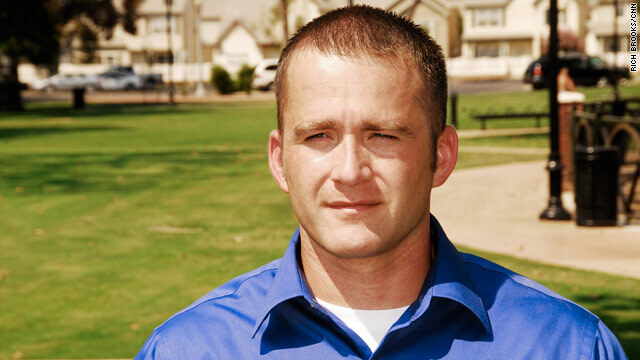 Bakersfield, California (CNN) -- A former Army sergeant who revealed the murders of four Iraqis at a canal in 2007 says he has no regrets about breaking his silence. "I did the right thing," Jess Cunningham told CNN's "AC360°." "I'm not going to hide behind false brotherhood." 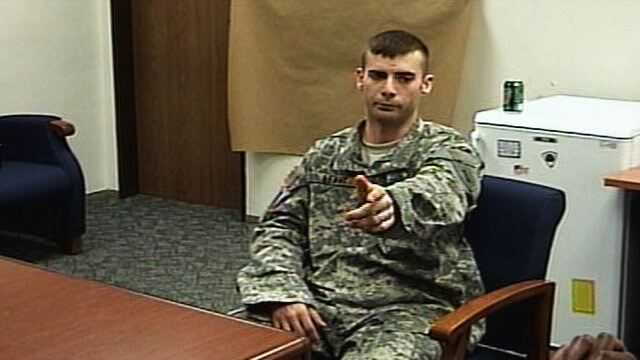 Nine months after the March 2007 murders, Cunningham told his Army lawyer what had happened at the canal. Eventually, three sergeants would be convicted of premeditated murder and conspiracy to commit premeditated murder. "These men are not heroes. They're not saviors," Cunningham said. First Sgt. John Hatley, Sgt. 1st Class Joseph Mayo and Sgt. Michael Leahy are all serving terms at the U.S. military prison at Fort Leavenworth, Kansas. A CNN investigation revealed that Hatley was frustrated with the rules for taking in detainees, which spelled out what was needed to gather evidence. By all accounts, Hatley believed the four Iraqis would be released from a detention facility because there was not enough evidence to hold them. CNN obtained 23½ hours of extraordinary Army interrogation tapes in which soldiers who were at the canal that day detail what happened. The tapes include a confession by Leahy, who admits he killed one detainee and shot another. Cunningham told his attorney about the murders when he was facing military discipline in late 2008 for assaulting Leahy and being disrespectful to an officer. He said the reason he came forward was not related to the Army punishment that he was facing at the time. He said he waited to break his silence until he returned to his military base in Schweinfurt, Germany. He said he was afraid of reporting the crime while he was in Iraq, fearing his fellow soldiers would turn on him. Based on Cunningham's information, the Army launched an investigation in January 2008. Asked why he did not report the crime earlier, Cunningham said, "Retaliation. Fear of being alone, fear of being the only one that had a problem with it, fear of so many things that could have happened to me." Cunningham was among 13 soldiers at the canal. He and another sergeant were charged with conspiracy to commit premeditated murder, but the charges were dropped. Cunningham received immunity for testifying. David Court, who is Hatley's attorney, said Cunningham "did not come forward for any altruistic motive. He only mentioned this because he thought it would get him less punishment. He didn't do it because he thought, 'I've got to blow the whistle.' "
Court said, "If I were Sgt. Cunningham, I'd be worried that, having broken the band of brothers, something might happen to me." Cunningham said that is exactly why he did not come forward earlier. "I don't really care what other people think of me," he said. "I don't worry. I'm not gonna lose any sleep. I did the right thing that day." He said Hatley betrayed his soldiers that day. "He betrayed the military, and you can't sit there and tell people what's right and wrong when you go out there and do the wrong thing, but it's all right because you do it [for] the better good."